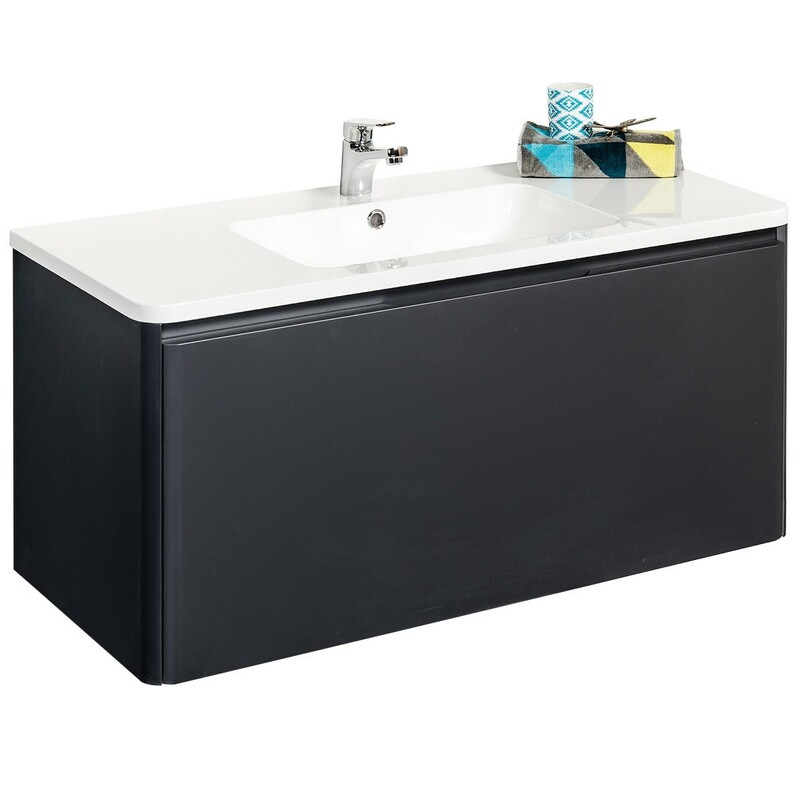 The Dune range combines storage and style with the 1000 Wall Hung Vanity, a gorgeous statement piece to enhance your bathroom decor. Coloured in a dark grey to emphasies contrast in the bathroom. It also features a hidden compartment draw.